Secure, reliable website hosting by Zee Creative. Not every business has the same needs, especially when it comes to website hosting. That’s why we offer custom hosting solutions that suit you and your budget, rather than ‘one size fits all’ plans. From static HTML websites to data-driven e-commerce sites, we’ll create a hosting solution to meet your needs. 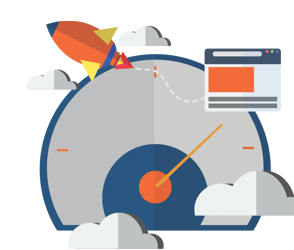 Our cloud-based and dedicated hosting options can be scaled. Interested in our hosting services, or curious about some of the more technical details? Contact us and we’ll fill you in! Find a unique domain name for your business using the “find a domain” domain search tool below. © 2019 Zee Creative, All Rights Reserved.